Pallas Kunaiyi-Akpanah battles in the post. The senior center has been a key contributor for NU. Northwestern has already faced its share of talented opponents this season. So far, the Wildcats have faced five teams that were ranked at the time, including then-No. 15 Michigan State, then-No. 18 Marquette and then-No. 20 DePaul. On Thursday, NU (14-8, 7-4 Big Ten) will confront its toughest opponent yet: No. 10 Maryland (20-2, 9-2). Both teams come into the game as two of the hottest in the Big Ten. The Cats have won five of their last six games, while the Terrapins have won five straight games and are tied for the best in-conference record. In an attempt to defeat the Terrapins on the road, NU will have help from junior forward Abi Scheid. After getting injured against Michigan, the 6-foot-2 junior missed six games before returning on Sunday against Ohio State. Although she only scored seven points, she ranks third on the team in scoring and was a big boost offensively. The Cats also benefited from the return of sophomore guard Jordan Hamilton. Hamilton, who had an off night against Minnesota after missing the previous game, was efficient offensively, scoring 12 points on 5-6 shooting from the field against the Buckeyes. If NU wants to win this crucial Big Ten game, the Cats will need to incorporate all of their weapons. 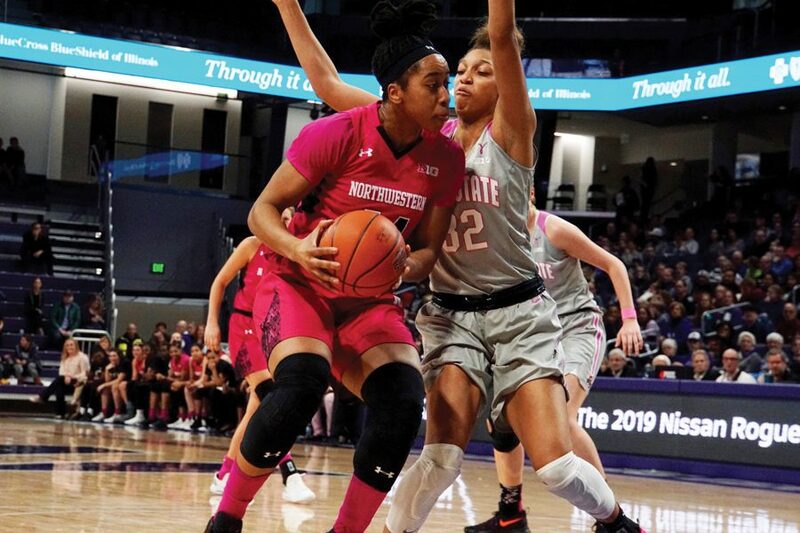 Sophomore guard Lindsey Pulliam has been a dominant scorer for NU over the past few games. In the last eight games, the Silver Spring, Maryland native has averaged 19.1 points, including five 20-point games. The Cats have also received a consistent contribution from senior center Pallas Kuniayi-Akpanah, who has scored in double figures in all but one conference game this season. Coming into Thursday’s game, Maryland ranks third in the conference with 76.5 points per game. The Terrapins are led by their talented guard duo of Kaila Charles and Taylor Mikesell. The two guards have combined for 30.7 points per game and 9.9 rebounds. Fortunately for NU, while the Terrapins rank third in the Big Ten with 58.5 opponent points per game, the Cats are ranked slightly above them giving up just 58 points per game. While both teams can score in bunches, it could become a defensive matchup of two of the best defenses in the Big Ten.